Like every paradise for bargain hunters, the Saara Shopping District is a maze where you can find anything and everything. Be it T-shirts with witty print, colorful accessories, soccer jerseys or the iconic Brazilian flip flops: the Havaianas. The Saara Shopping District consists of a myriad of shops along the streets of Passos, Andradas, Buenos Aires, Alfandega as well as the Praça da República square. The atmosphere within Saara is very authentic and couldn’t be further from the polished, air conditioned malls of the more upscale neighborhoods of Rio. People from all walks of life can be seen shopping and enjoying a day out with friends and family. Since the diverse market is popular with the locals and often overlooked by tourists, prices are reasonable and bargains can still be found everywhere. Just as varied as the shoppers are the sellers. Among the merchants are many immigrants from the Middle East, Turkey, Portugal, Greece, Spain and Argentina and especially during carnival when everyone is doing their last minute costume shopping, the bazaar shines in an explosion of colors with many multicultural elements. If you are lucky, you might even see an impromptu Samba presentation in the streets. The Saara Shopping District covers 11 streets in total within the old downtown of Rio de Janeiro, among them Buenos Aires, Passos and Andradas. The shops are open throughout the year but usually close on Sundays and on holidays. Opening hours are generally from 9am to 6pm on weekdays and from 9am to roughly 3pm on Saturdays. 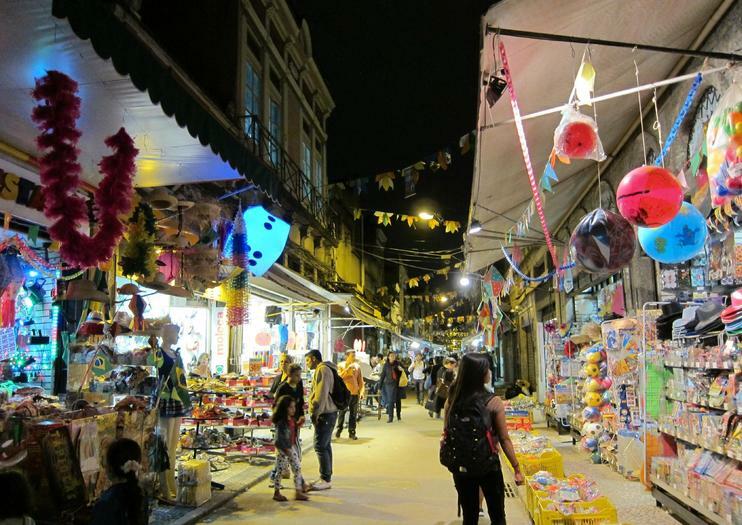 Peruse the Saara Shopping District on this 4-hour guided tour in Rio. This popular destination for locals is one of the most famous open-air street markets in the world and is a great source for handicrafts and souvenirs. Wander the streets and alleys, stopping in stores that sell clothing, accessories, souvenirs, costumes, party supplies and more. Ask your guide if you need help finding something specific or want to know where the best bargains are. Stop and grab a juice or some local delicacy like an açai bowl. Round-trip transportation from Rio hotels is included.